Show your mood. Celebrate an occasion. Fly a flag. Emojis can be used to express many different things. 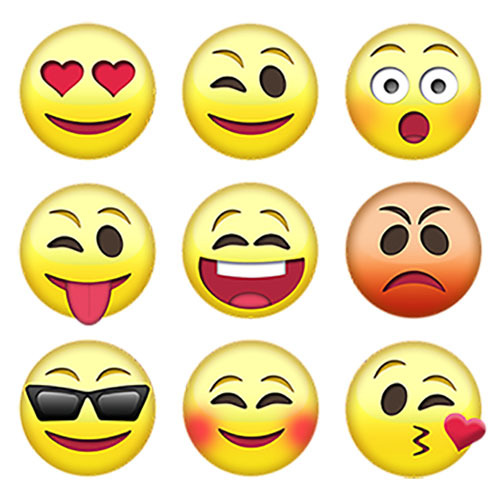 Because July 17 is World Emoji Day, we want to take a minute to talk about how you can use these little icons to connect with the people who follow you on social media. Since the first emoji was created in 1998, these pictograms have multiplied and become a sort of language all their own. Modern linguists have even compared them to ancient Egyptian hieroglyphs. Communicating visually through pictures is certainly nothing new for the human race. Yet could ancient Egyptian pharaohs have imagined a cellular phone emoji? Probably not! The Internet is full of stories about companies who went too far with their emoji use. Don’t let your agency become one of those horror stories. Use emojis where it feels right — maybe a casual post about a Friday lunch outing, or to convey excitement about a company event. Plane and suitcase emojis would work great, for instance, in a post about leaving for a conference in another state. But you wouldn’t want to clutter your post with all the travel-related emoji you can find. Typically, two or three per post is a good limit to have. While some emojis are pretty straightforward (a smiling face always means happy), some may be pretty unclear. When do you use the “open hands” emoji, for instance? And what’s the deal with the eggplant? If you’re not sure what a particular emoji means, don’t hesitate to look it up (Emojipedia is a great resource). And if you’re ever in doubt, play it safe and find something else to use. While it’s never a good idea to use emojis excessively, rules are made to be broken. Some ideas are just crazy enough to work! Have fun with holiday-themed emoji, and brainstorm ways that you can tie certain emojis to current celebrations or promotions at your agency. Many brands have found success with creating custom emojis. Whether it’s a logo, or an emoji that ties into a particular feature or promotion, giving your followers a way to share your brand with a single click is a marketing dream. iPhone and Android apps make it easy to create an icon that reflects your agency. Are emojis the wave of the future? We can’t say for sure, but they’re certainly the wave of right now! There are many ways to successfully incorporate them into your social media strategy. The most important tip? Have fun with them!